If you haven’t read Part One of this article you may do so: here! In the eighteenth –century a German scientist and musician Ernst Chladni, also known as the father of acoustics, demonstrated that sound affects matter, with the use of simple, visual experiments. He would draw his violin bow around the edge of a plate covered with fine sand; the sand would form various geometric shapes and patterns in response the vibration of his violin bow. Dr. Hans Jenny, a Swiss medical doctor and scientist realized the importance of vibration and sound, and spent most of his time studying it. 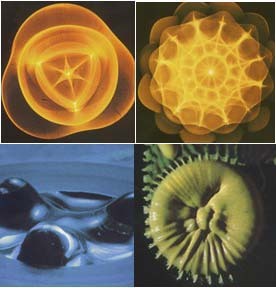 His studies and fascinating experiments into the phenomena of waves (which he called cymatics, from the Greek kyma, meaning “wave”) provided fascinating images of how sound influences matter. For many, these experiments proved that sound can and does affect and alter form and that different frequencies produce different results, and that sound actually creates and maintains form. Hans Jenny was a physician and natural scientist who coined the term cymatics to describe acoustic effects of sound wave phenomena. Dr Jenny was well known for his incredible cymatic images, but what many didn’t know was that he was also an artist, a musician, a philosopher, historian and a physicist. With excellent powers of observation and a deep interest in nature, Dr. Jenny always saw an underlying, unifying theme in world about him, and that was wave patterns produced by vibration. The studies and experiments of people like Dr. Jenny and people before him have vast implications for the field of healing and vibrational medicine. If sound can alter form, how can it change our internal life? We know see how patterns of vibrations are everywhere in nature, but what role do they play in creating, maintaining and altering the very cells in our bodies? How different are the vibrational patterns of a sick body to that of the healthy body? Is it possible to turn unhealthy vibrations into healthy ones? When different musical pieces were exposed to the water sample, it formed different and beautiful geometric crystals. If he then played heavy metal music the crystal basic shape would break apart. In taking the experiments further, Dr. Emoto wanted to measure the impact of words and phrases on the crystalline structure of the water. These experiments yielded results that match what psychologists, philosophers and spiritual teachers have been teaching for years- that, the words we speak and the thoughts we think impact our well-being on all levels. 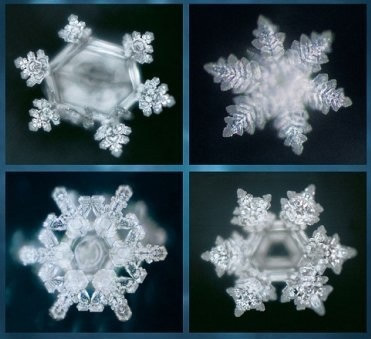 In another experiment Dr. Emoto taped various words and phrases to jars of water, after freezing them and taking photographs of the crystals, he found that words like, love/appreciation, thank you etc, produced a variety of beautiful geometric forms. Words like, you make me sick or you fool produced crystals that were disconnected and chaotic. 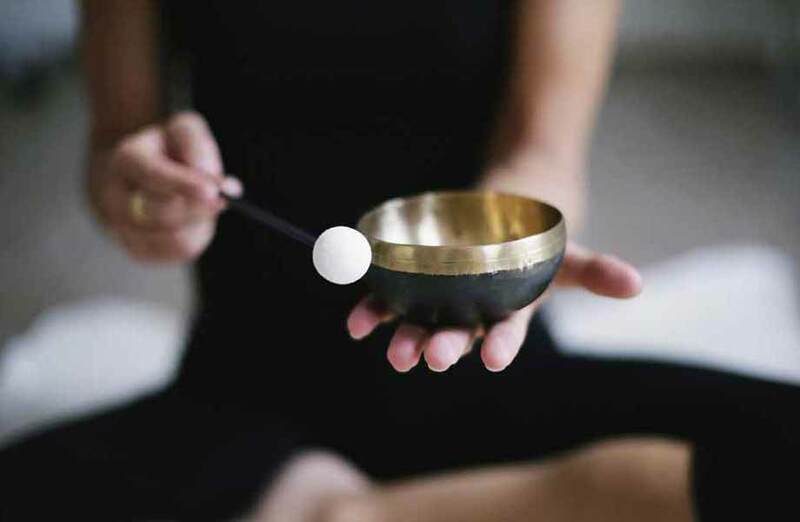 Fabien Mamam, a French composer, acupuncturist and bio-energenician, and Helen Grimal, a biologist, experimented with both healthy and cancer cells to see how they would respond to voice and various instruments. The most dramatic effects of sound they captured on photographs were the progressive destabilization of the structure of the cancer cells. When they played sounds that would progress up the music scale, these cancer cells would finally explode. The implication of what has been discussed here, although in a very limited way, is profound. Since our bodies are made up of 70% water, just think for a moment how the external sounds of our environment affect our internal environment right down to the cellular level. Imagine how the words we speak about ourselves and others- affect not only our health, but the health of those around us. Intention powered by the healing energy of sound is the key to improved health and other improvements in one’s life. Brian Greene, The Elegant Universe: Superstrings, Hidden Dimensions, and the Quest for the Ultimate Theory (New York: Vintage Books, 2003), pp.15-16. Richard Gerber, Vibrational Medicine, 3d ed. (Rochester, Vermont: Bear & Company, 2001), p. 65.